Eating keto at Popeyes? Many people pass on by because a majority of the menu is relatively high in carbohydrates. It is a fried chicken joint after all! However, there are a few choices that are low carb and super delicious! 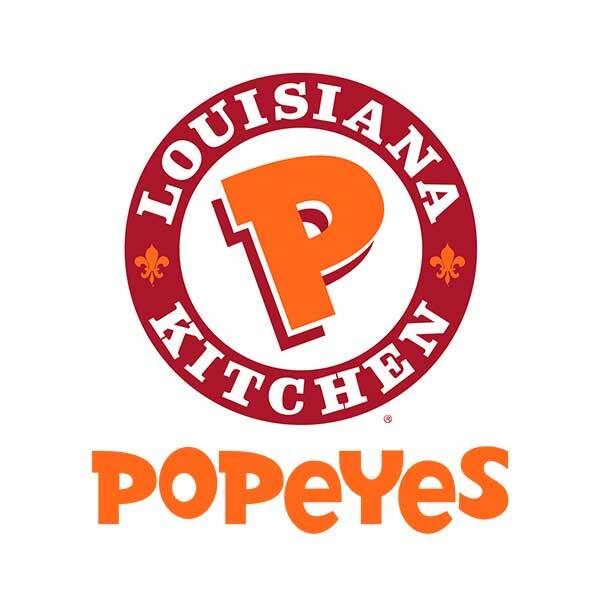 Popeyes Louisiana Kitchen is, without a doubt, one of my favorite fast food restaurants. It’s right up there with Five Guys and Wendy’s. Unfortunately, we’re going to want to avoid the breaded chicken breasts and thighs. You can probably fit a tender or leg into your macros, but is it really worth it? Your call. Take full advantage of the blackened tenders. They’re a fast food game-changer and while not always advertised or on the Popeyes menu, they are offered at most locations. As far as side dishes go, the only one suitable for keto is the green beans. The cole slaw comes out to 10g net carbs, but isn’t really worth it, in my opinion. 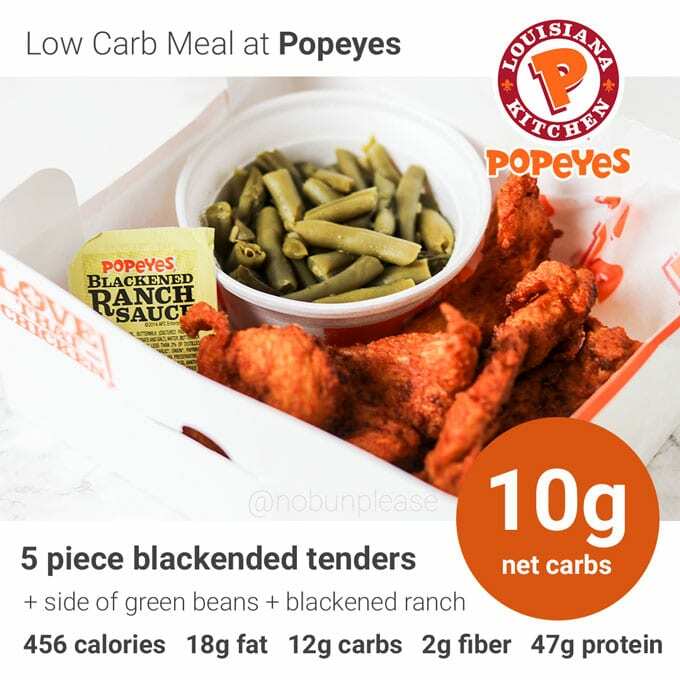 Though not advertised much, the blackened tenders from Popeyes fit the bill when it comes to low carb options with really great flavor. They’re coated in a Popeyes seasoning blend and fried without breading. The end result is a moist chicken tender with a crispy exterior — you’d never believe these were low carb! You won’t be disappointed with the blackened tenders. Add some green beans and blackened ranch and you’ve got a delicious keto meal! 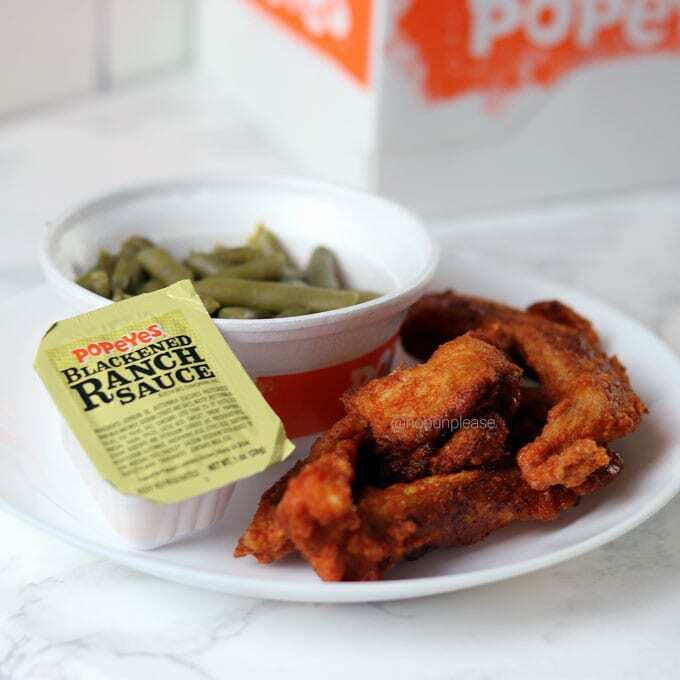 Be careful with the sauce selections at Popeyes — not all of them are low carb. You’re going to want to avoid the Bayou Buffalo, BoldBQ, Sweet Heat, Creole Cocktail and tartar sauce. The following sauces come in 1oz servings. While most of the sides taste great, they aren’t low carb. You’re going to want to avoid almost all side dishes including the mashed potatoes and red beans with rice. The only low carb Popeyes side is the green beans (and they’re totally yummy!). The green beans are juicy and cooked with smokey ham or bacon. They’re addicting. I’ll even add some additional butter if I need to up my fat. Be conscious of the carb count on the large green beans — the carbs can add up quickly! I find that splitting the order with my partner or family works out for the best. Depending on how busy the restaurant is, you may have to wait for 5-10 minutes while they cook the Blackened Tenders. I believe the reason for this is that they don’t get ordered too frequently and the hold time on them isn’t as long as traditional breaded chicken. Despite being fried, the Blackened Tenders have very small amounts of fat. I like to pair mine with the Blackened Ranch. If you’re fortunate enough to own an air fryer, these reheat extremely well. I love getting extra chicken and having it for a yummy meal the next day. Still feeling like chicken but want something different? Check out my Chick-fil-A or KFC nutrition guides. All nutritional information pulled from the Popeyes Nutrition Guide. Love the blackened tenders! I would get them even if I wasn’t trying to go low carb. At my Popeye’s you can also ask for blackened chicken pieces, but there is a wait because, like you previously stated, they’re not ordered often. I have been known to call ahead so that it’s ready when I arrive.